TUMWATER – The room was packed and every seat occupied. 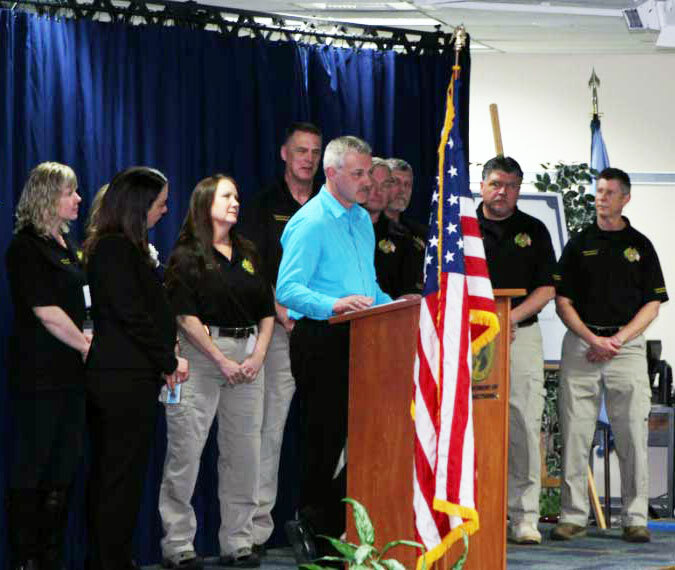 Representatives from the Department of Corrections (DOC) were there to acknowledge the winners’ outstanding effort and commitment to fulfilling the agency’s mission to improve public safety. It takes a lot of work and dedication to start with 1,073 nominations and narrow them down to 74 award recipients. The process was so extensive that it needed support from outside agencies. 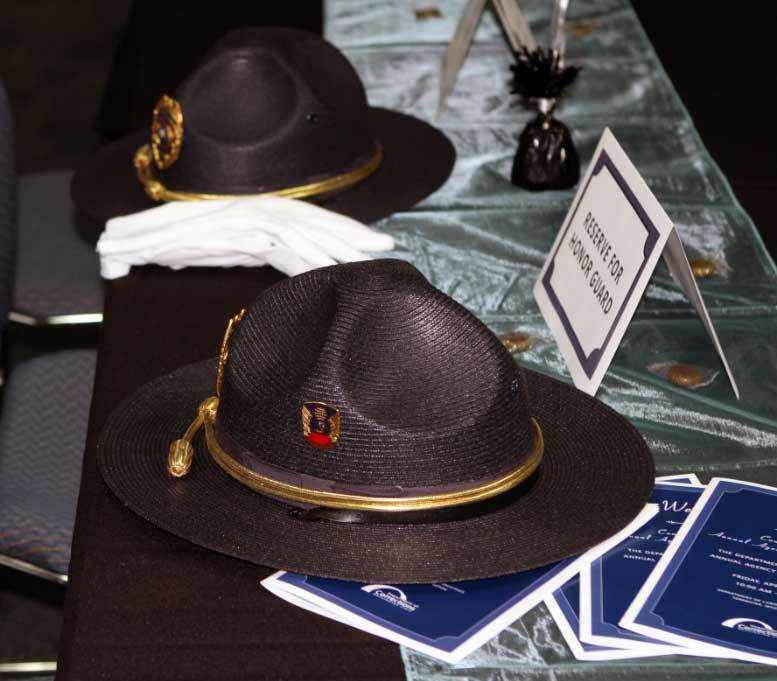 The agencies included participants from Department of Health (DOH), Washington State Patrol (State Patrol), and Office of Financial Management (OFM). Each year, the selection committee of 13 internal and external members focus on the value, importance, and meaning of participating on such a team. The members were selected with guidance from a DOC policy. The policy states that the committee needs to be comprised of members from a criminal justice community (State Patrol), another state agency (DOH and OFM), previous award winners, and representatives from each division within the agency. Tim Coley, from State Patrol, also shares a similar message. “I know for me it has been valuable to look at the process and see where it may apply to State Patrol and how we conduct our annual awards.” This was Coley’s fifth year of participating on the selection committee. He enjoys reviewing the submissions and seeing the great work being done by Corrections' employees across the state. He appreciates that so many colleagues take the time to nominate their peers. The ceremony, hosted at the Labor and Industries building, had close to 200 attendees including award winners, family, friends, and committee members. Felice Davis, associate superintendent at Washington Corrections Center for Women and Mac Pevey, assistant secretary of the Community Corrections Division, served as the dynamic emcees of the event. The recognition goal of the department is to show appreciation for the work of employees who carry out the agency's mission and goals. DOC is committed to valuing staff as its greatest asset and building a culture of recognition following guiding principles. The principles are focused on providing opportunities to acknowledge performance and equipping leaders with skills to maintain an environment where employees feel valued. 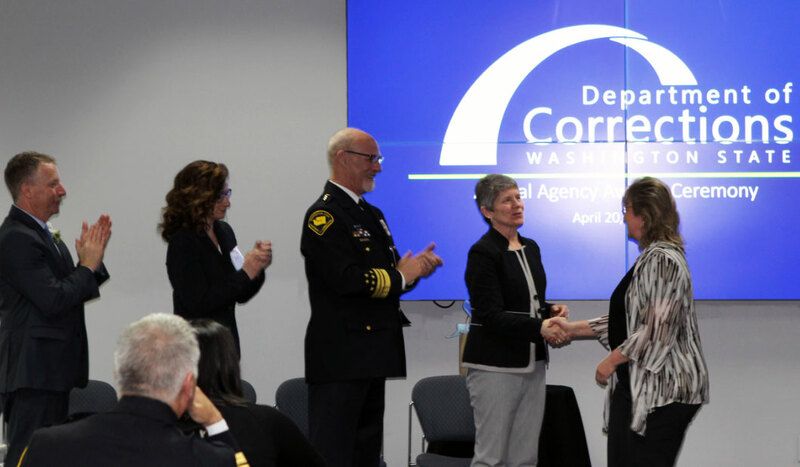 "Each of the award recipients serves as an example of the extraordinary work that our agency undertakes every day to improve public safety for all Washingtonians," Secretary Stephen Sinclair said at the annual agency awards ceremony.